File image of Kurt Masur leading the New York Philharmonic in Beethoven's "Symphony No. 1 in C major" at Avery Fisher Hall in May 2010. 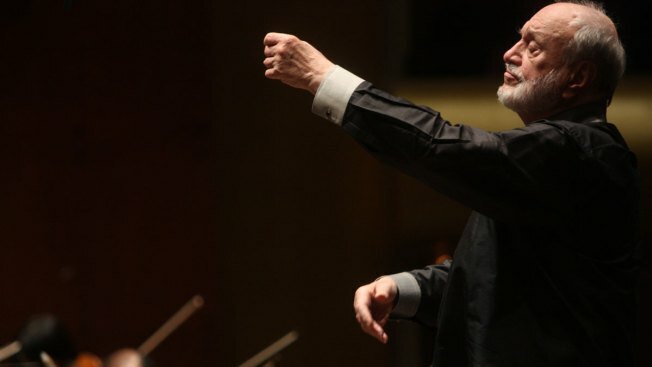 Kurt Masur was a conductor who knew how to use his authority. He used it to tame orchestras — notably the unruly New York Philharmonic, which he led for 11 years — and to historic effect in his native land, when his call for calm helped prevent violence during tense 1989 pro-democracy protests in East Germany. Masur died Saturday at age 88 in a hospital in Greenwich, Connecticut, from complications from Parkinson's disease, the New York Philharmonic said, issuing a statement praising his "profound belief in music." His move to ward off violence in East Germany was, Masur later acknowledged, a belated move in a country that many artists had long turned their backs on but in which he held a position of rare international renown as the director of Leipzig's storied Gewandhaus Orchestra, where his predecessors included Felix Mendelssohn. "I was busy with music for too long," Masur recalled in an interview last year with the German weekly Der Spiegel. "But when I learned that all of a sudden street musicians were being arrested for wanting to protest peacefully, I realized that change was overdue." By 1989, Leipzig had become the focal point for the demonstrations that would culminate in the opening of the Berlin Wall and the end of communist rule. As tensions rose on Oct. 9 — and with the bloody Tiananmen Square crackdown in China still fresh on people's minds — Masur and five others — a satirist, a cleric and three party officials — issued a public statement calling for calm and promising dialogue. With security forces massing in the streets and young people saying goodbye to their families as if heading to war, a recording — read by Masur — was broadcast on speakers throughout the city. Without it, he later said "blood would have flowed." A month later, the embattled East German authorities gave in to popular pressure and opened the country's border with the West. When Germany was reunited on Oct. 3, 1990, Masur directed Beethoven's Ninth Symphony at the official celebrations. Germany's minister of culture, Monika Gruetters, paid tribute Saturday to Masur's musical legacy and his role in the peaceful revolution "when he used his high authority to compel the power of the state to react without violence to the mass demonstrations in Leipzig and begin a dialogue with the citizens." After German reunification, Masur took charge of the London Philharmonic and the Orchestre National de France, among a slew of engagements that spanned three continents, but spurned the political role that some suggested for him. When his name surfaced during the search for a new German president in the early 1990s, Masur said he wasn't interested. Born on July 18, 1927, in what was then the German town of Brieg — now Brzeg, Poland — Masur studied piano, composition and conducting at the Music College of Leipzig. He was appointed in 1955 as conductor of the Dresden Philharmonic in East Germany. Masur subsequently spent 26 years in charge of the Gewandhaus Orchestra in Leipzig, where he successfully petitioned East Germany's Communist leader Erich Honecker for a new concert hall. "The orchestra had been playing in a congress hall at the zoo since the end of the war," he recalled. "During quiet sections you could hear the lions roar." 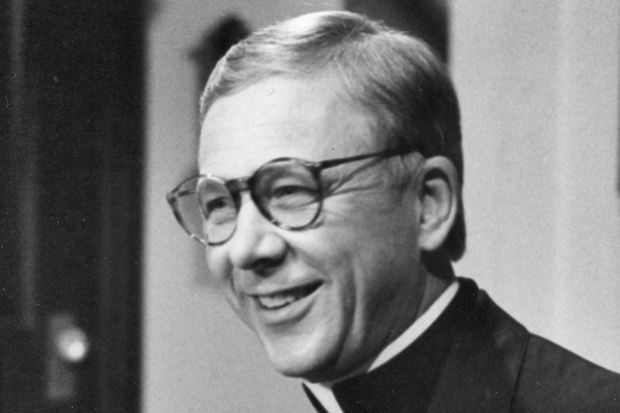 He inaugurated the orchestra's new home in 1981 with the Latin words: "res severa verum gaudium (true joy is a serious thing)." Masur made his U.S. debut in 1974 with the Cleveland Orchestra and took the Gewandhaus Orchestra of Leipzig on its first American tour that year. After being chosen as music director of the New York Philharmonic, some critics worried that his intense work ethic and conservative German musical style weren't suited to the U.S. orchestra. He defied them by taming the Philharmonic, an orchestra seen as an unmanageable ensemble of egos when he took over from Zubin Mehta in 1991. Masur "managed to get everybody to focus on the product of what we are doing," concertmaster Glenn Dicterow said before the conductor's departure in 2002. He said the orchestra was "not the bad boy of music anymore." "What we remember most vividly is Masur's profound belief in music as an expression of humanism," Philharmonic President Matthew VanBesien said in a statement Saturday announcing the conductor's death. "We felt this powerfully in the wake of 9/11, when he led the Philharmonic in a moving performance of Brahms's 'Ein Deutsches Requiem,' and musicians from the Orchestra gave free chamber concerts around Ground Zero." "Today, New Yorkers still experience this humanist mark through the popular Annual Free Memorial Day Concert, which he introduced," he added. The Philharmonic's current music director, Alan Gilbert, said Masur's tenure "represent one of its golden eras, in which music-making was infused with commitment and devotion — with the belief in the power of music to bring humanity closer together." The conductor was named the Philharmonic's music director emeritus, an honorary title previously held only by Leonard Bernstein. "The world of music has lost a very high witness to German symphonic tradition as well as a high-level interpreter of composers like Beethoven, Mendelssohn, Bruckner and Richard Strauss," Milan's La Scala said in a statement. Masur made his La Scala debut in the theater's 1986 symphony season. He is survived by his third wife, Tomoko, a soprano from Japan; and five children, including Ken-David Masur, the San Diego Symphony's associate conductor. A private funeral will be held and a public memorial is also planned, the New York Philharmonic said.